From solar cell origami lamps to cute nano-origami animals, we can’t get enough of the Japanese art of folding paper. The newest origami creations to catch our eye are Takayuki Hori’s beautiful folded figures, which feature 8 endangered species. 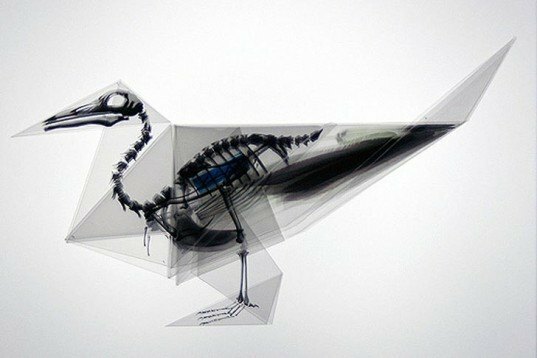 Dubbed Oritsunagumono — things folded and connected — these X-ray origami works of art include a sea turtle, a waterfowl, and 6 other animals that are in danger of disappearing altogether.